During our past summer vacation I really, really wanted to take little man, and my husband to the La Cueva del Indio to see first hand the Taíno petroglyphs. Unfortunately, due to time constraints we weren’t able to go. This is a picture of a petroglyph in La Cueva del Indio. Photo credit: Neyda S.
However, on our return back home we had a lesson on Taíno petroglyphs. Little man even made his own Taíno petroglyphs. 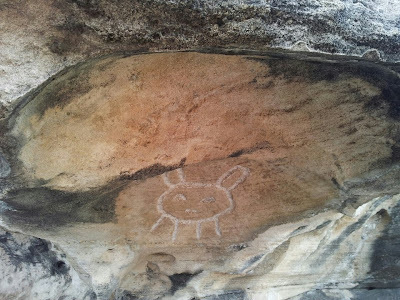 Petroglyphs (or ‘stone symbols’) were carved on rocks all over Puerto Rico by the Taíno indians to record their lives, and daily life. 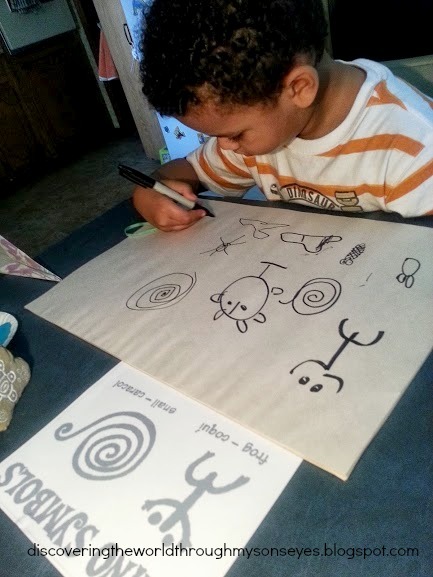 For our lesson, I printed a sheet with Taíno symbols from here so little man can draw the symbols for the petroglyph. He practiced before drawing the petroglyphs on the rocks. 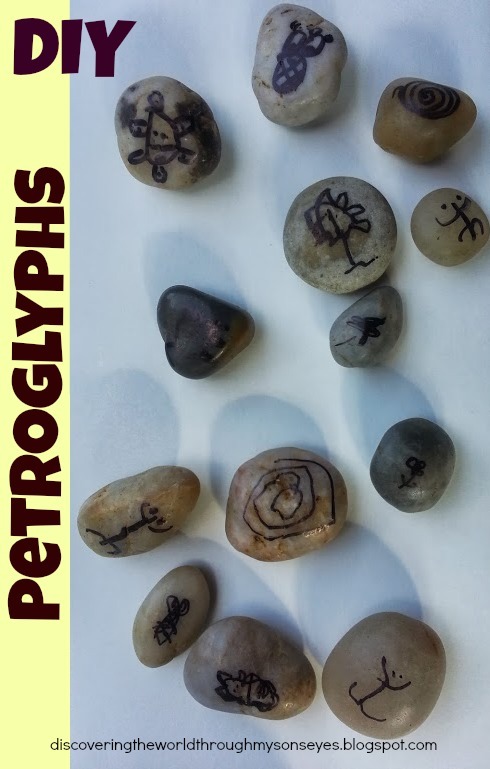 We had lots of fun making the petroglyphs, and we learned the meaning of some of the symbols, too. We’re looking forward to our next installment about our beloved coquí. In the meantime take a look at our previous post on Discovering our Taíno ancestry here, and here. How are you celebrating Hispanic Heritage Month? Please like, comment, pin or share! These look great! What a fun idea. I love your Discovering Taino ancestry projects! So fun! We might have to study Puerto Rico in our homeschool just so that we can have fun with all your crafts.